This is probably going to be one of the most unusual packs you’ll play. All of the charts here introduce and explore extremely unusual and rare patterns and I hope this pack will serve as an inspiration for charters to explore the untapped potential of various techniques and patterns shown in those charts. Etterna 0.65+ is highly recommended due to a change to rolls that occured in 0.65. 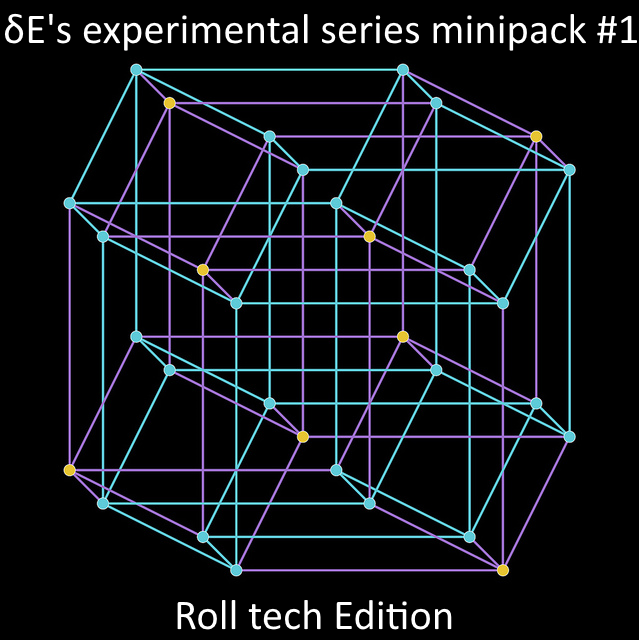 This pack explores the potential of the so-called roll tech, the gist of which is basically using rolls in a variety of almost never seen before ways. Additionally, there are a couple files that showcase cmod gimmicks: Annihilation and Chaos Theory. You may also find a fair share of hold-intensive files as well. Momentum roll tech - you’re led into repeating a pattern you just played. The Moon shows this clearly with the 32nd minijacks – you’re tricked into tapping the roll as a 32nd jack. Fake roll tech - rolls that are supposed to be treated as holds with penalties for hitting them as rolls. KABOOM has this everywhere. Mirror roll tech - a roll and regular notes where you’re tricked into tapping the roll together with the regular keys. Could be played like that anywhere where applicable, but shown most prominently in the first roll section of ROLLS difficulty of WASP. Confusion roll tech - a long roll that has no obvious tap rate or anchor notes or does not provide them within the roll window, shown in Chaos Theory. Cmod gimmick - exactly what it says on the tin, a warp-like gimmick in cmod. Annihilation / Chaos Theory showcase this, also the ending of Thing. Unfortunately, MSD doesn’t matter for any of those songs as the patterns are way out of the bounds of the calc. To have a rough guide of difficulty, see the difficult meter which will show a relative value of how hard the chart is going to be. As a general guide, the higher the MSD, the easier the file is. Yes, it’s inverted. Players of any skill may play it, but in general it’s intended for 20+ players. Be aware that even highly rated players may struggle with some of those files as the files require highly specific and rarely trained skillsets. This is not intended to be uprated NOR downrated. For some files, downrates may actually be much harder than uprates too. Quality of files is not guaranteed, but expected with the sole exception of Chaos Theory, which is intended to be a pure torture and a mental stamina test. Evolution Canceler from Bursts of Teitoku Kai for giving me the idea. P.S. DourGent discovered roll tech independently. P.P.S. I literally forgot this forum exists. P.P.P.S. Higher judges increase the number of times taps are required to keep a roll activated, and may break intended intuitive roll tech maneuvers.